Our college starts at 8:45 am. 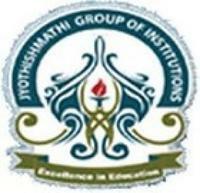 Each class is about one hour at Jyothishmathi Institute of Technology and Science, [JITS] Karimnagar. Between 11:45-12:30 there is a lunch break and our college ends by 3:30 pm. In our college, all the branches conduct a national level fest to develop the ideas in various fields. Every month for a separate branch, the national level workshop would be conducted at Jyothishmathi Institute of Technology and Science, [JITS] Karimnagar. Our college starts daily at 8:50 am and works till 3:30 pm. They are so many experienced faculties in my college. They provide us teaching in a good way. Jyothismathi Institute of Technolgy and Science, Karimnagar was established in August 1997 as a self-financing Engineering College by Shalini Vidya Samstha, Karimnagar under the able Chairmanship of Sri. J. Sagar Rao Garu who has vast experience in successfully running the Jyothishmathi Group of Institutions in Karimnagar & Hyderabad. The Institute is approved by the All India Council for Technical Education (AICTE), New Delhi and is affiliated to Jawaharlal Nehru Technological University (JNTU), Hyderabad. During the last 15 years , this Engineering College has made rapid progress and has developed into one of the very large and foremost Engineering Colleges in Andhra Pradesh State, with an annual intake capacity of 1260 students. "To become one of the Premier Engineering Institutions providing Quality Technical Education & Research with holistic approach to achieve global excellence." "The main mission of the institution is to offer a Comprehensive Engineering Education that provides enriched teaching and learning process with holistic approach, inculcates the learners with intellectual experience and integrated research, prepare the learners for advanced studies and employability with global competance, promotes technical consultative services for real time requirements with excellent communication skills and life long learning, develops the learners for contributing to the profession and society with effectiveness and dedication." The College has a built-up area of nearly 23,479 sq.M. And is situated in a serene and picturesque location in an area of 25 acres, overlooking the water body of Lower Manair Dam near Karimnagar town. The College is easily accessible by road and is about 8 KMs. from Karimnagar Bus-station, by the side of Karimnagar-Hyderabad High-way. The College Campus is located in the midst of vast expanse of greenery.